... the most optimistic economic forecast is for a year of stagnation. The ‘jobs recovery’ has fizzled out and even the IMF is calling on the government to slowdown its austerity programme. The latest welfare cuts are devastating. Millions of the poorest households who depend on benefits — 60% of them with someone earning, but on wages so low they are (or were) entitled to top-up benefits — now find themselves facing instant penury. 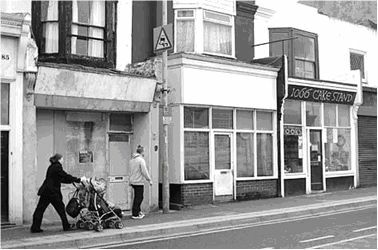 Under the heading of ‘welfare reforms’ the government’s well-aimed and divisive attacks — such as the bedroom tax, increased council tax, etc. — have overnight made it impossible for many people to survive as they did before. If it wasn’t clear already, it’s now very obvious what the government’s Make Work Pay message is all about. It’s about driving down the minimum wage and forcing people onto a lower standard of life. At the same time inflation is eroding the real value of workers’ take-home pay as the cost of basic necessities goes up: food, fuel, water and other utility bills. All this as ‘pension pots’ are dramatically reduced and the retirement age is perpetually postponed. Alongside the incessant propaganda, the dubious opinion polls revealing that ‘most people’ are in favour of cuts to the welfare budget, the divisive ‘debates’ about well-off pensioners not deserving bus passes and heating allowances, the swingeing attacks on public services and amenities continue. As we know, most of the recent cuts are being implemented by local councils on the grounds of necessity since central government has dramatically reduced funds to the localities. This is grist to the mill of die-hard Labour supporters who realise that the poorest and most deprived areas are being hit by far the hardest and like us to believe that this wouldn’t happen with a Labour government. Targeting local authorities is also an easy way of fragmenting opposition to the cuts. In a similar way the NHS has been subdivided into trusts and starved of funds as the service is whittled away on spurious ‘efficiency’ and ‘specialism’ grounds. An A&E Department here, maternity ward there … It’s been going on for years but now it’s clear: “We’re going to have to pay for some medical services”. As if we don’t already: since 1945 we’ve been made to pay for prescriptions, dentistry, eye-tests and glasses. But this is in another league. In fact, just as everywhere in the Western world, the working class is being cajoled into paying indefinitely for the revival of capitalist profits. As a few millionaire bankers resign or take a pension cut, the civilised level of human existence — freedom from unemployment, ignorance, squalor, poverty and disease — that workers were promised in return for their sacrifices in the Second World War is rapidly being swept away. Now, in the wake of every cutback all we get is a demand for more belt tightening, more ‘austerity’ … while the rich get even richer and search for more and more outlandish ways of How To Spend It. The question is how to fight. When we say ‘We reject all politics of representation’ we mean that workers have to rely on their own self-organisation because organisations which are part and parcel of the established order are always looking for a solution that is satisfactory for capital. In other words no parliamentary party, not least the Labour Party can defend the working class. Neither will the unions or their paid ‘campaign organisers’ do anything to rock the capitalist boat. So far the only positive aspect of the present round of cuts is that pockets of workers are beginning to organise for themselves. By their nature grassroots bodies will have a fleeting existence but the experience of combining to resist, especially where people have got together to form assemblies with re-callable delegates, helps to show there is an alternative to capitalist parliaments and putting your trust in paid representatives. Work and Pensions Secretary, promises no-one will suffer even though the scheme aims to cut spending on disabled benefits by 20%. It’s worth noting that PIP depends on the same kind of notorious ‘fitness for work assessment’ administered by private companies that was the brainchild of the previous Labour administration under Tony Blair. Never mind, we can rest assured that ‘modern Britain’ is on the way to becoming great again. A new report by Unicef puts the UK in 16th position – below Slovenia, the Czech Republic and Portugal – in a league table of child well-being amongst the world's richest countries. A previous report in 2007 put the UK at the bottom of 21 developed countries for overall child well-being, which includes teenage pregnancy rates (high), the numbers of young people under 19 not in education, employment or training (more than any other major developed country) and alcohol abuse rates in 11 to 15 year olds (the highest). Maybe, however, you don’t have time to think about such reports if you are desperately trying to find a smaller place to live because you can’t afford the bedroom tax; or if your house is jampacked with relatives because they can’t afford to rent or buy. In this situation you may also not have time to reflect on how the Bank of England’s policy of providing the banks with ‘Funding for Lending’ has helped to keep mortgage interest rates down: a boon for anyone with their own homes (or at leasttheir own mortgage) and for the political parties who woo the votes of ‘middle England’. All these divisions, and many more, are played on by capital. But this crisis is not going to go away. We are all being hit more and more. Eventually the working class will have to make a clear political choice to fight against capitalism itself in order to create a totally different world: a rational society where production is organised to directly meet human needs. It is not inevitable. Unless there is a political organisation, rooted in the life and struggles of the working class, putting forward the communist programme, there will be no halting whatever capitalism has in store. The wealth is there in society not only in the UK but globally the problem for the working class is that it's controlled by the capitalist class. Only this week in the Guardian there was a report that the richest companies have been squirilling billions away from the tax man. As the article says their problem is how to spend it. One thing is certain while this wealth is created socially it needs to be used socially to build a better society one which puts human need at the front. Of course the front line defences of capitalism in the shape of the Labour Party and the Trade Unions won't help to tackle the mounting injustices as will be seen after todays council election results are in. The Labour councils will carry on cutting. The problem is how to intervene in working class struggles as Communists where the struggles will be launched by reformists such as the People Assembly. To be part of struggles such as against the BT needs to put forward demands on the capitalist class such as scrap the tax, no evictions while attempting to ensure that workers become involved actively in the campaigns and are won to a Communist political programme which sees the necessity of a Communist revolution against the Capitalist state.